The arrival of spring seems to inch closer, and you may even find some early signs of it within in the racks of garden starts and young fruit canes and trees at Sun Gold Farm and Gales Meadow Farm. 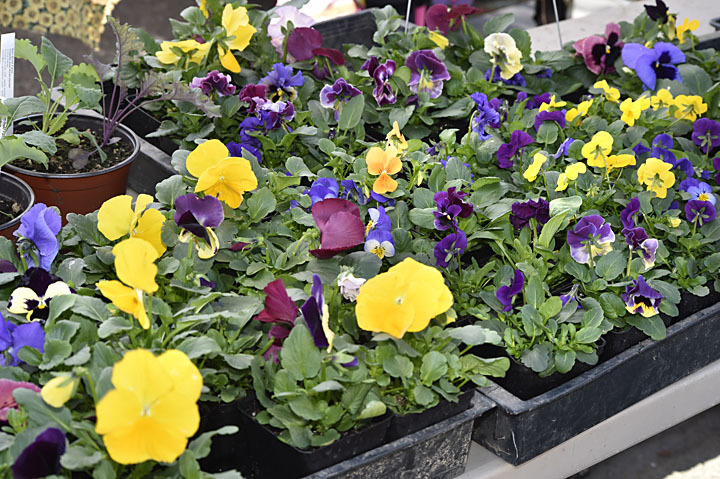 Also taking advantage of the more mild winter and making and early return to market for the season is Sweet Leaf Farm with baskets full of tender spring greens, shoots, and over wintered roots from the rich soils of Junction City, OR. Whether you have been loving the wide variety of apples and pears at Kiyokawa Family Orchards all winter long or just discovered these flavor packed treasures, now is the time to indulge before your favorite varieties sell out for the season. Plum trees are starting to shows signs of bursting blossoms here in the city, and that only means the orchards to east are not long behind and will require full attention through pollination and fruit set. If you've been feeling crabby, then this is the market for you! 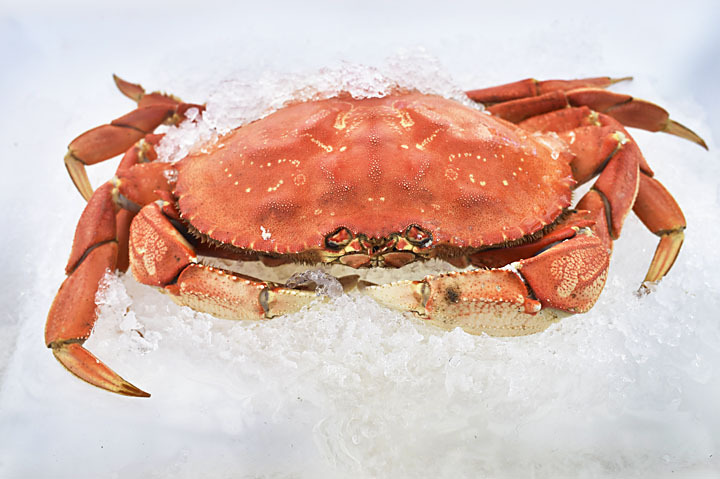 Linda Brand Crab has Whole Dungeness Crab on sale for $5.99/lb, so there's never been a better time to crawl down to market and open your pincers. For those of you with dull kitchen knives, garden shears, or otherwise less than sharp blades, you can now rejoice for the return of Dragonfly Forge at market tomorrow. Also back for the week is Thomas & Sons Distillery, 2 Towns Ciderhouse and Portland Juice Company. The Vendor Applications for both our Hollywood and Lloyd Farmers markets are now open on ManageMyMarket.com, as we encourage any interested vendors to apply, or reach out to info@hollywoodfarmermarket.org with questions about becoming a vendor. See you Saturday at the market! 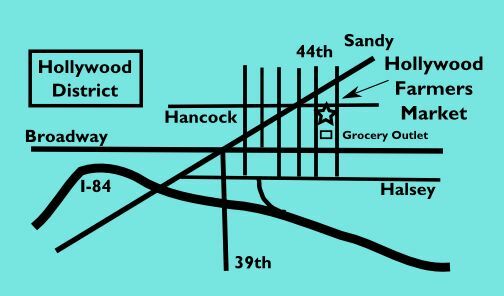 Looking for a farmers market to pick up some midweek groceries? NE Hancock Street between 44th and 45th Avenues (one block South of Sandy Blvd). In the Grocery Outlet parking lot. For more information call (503) 709-7403, or check us out online at www.hollywoodfarmersmarket.org .